Nice little ex-Whitbread pub located just off the centre of Lymington. Not very inspiring ales on tap, Doom Bar was one offering I believe. I plumed for a lager!! 7/10 from me, the barmaid was very nice!!! Popped in while walking in the area. Late afternoon (ish) The owner is a very friendly guy, and the serving lady, also. Had a pint of the guest ale, which was excellent.A decent discussion on beers followed! Only prob was the lack of food on asking, despite being "open all day" I believed this to mean that the pub does no food at all now. This is a shame, as this quiet little pub was convenient to us and we eat out a lot on our hols. Many folk don't like to drink on an empty belly, so we only had one. The other customers were locals, and we latched on to their chat and had a good laugh with them. Never judge strangers in pubs until you have made the effort yourself! The pub in general was rather faded in places and I feel could do with a freshen-up, but that's my opinion, though I did love the traditional pub style. I would like this pub to do more custom with the addition of some kind of food during the day and evenings, and attract families. There is a huge car park that is wasted at present. I am not going to rate this pub,as I think you should form your own view. That said, I would love to return if in the area, and stop by for a couple of pints AND A MEAL !!!!! 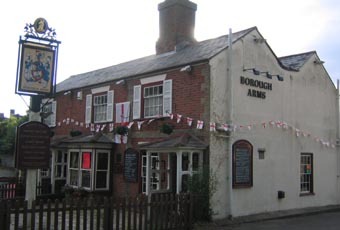 Arriving at Lymington, my intended first stop was The Bosun's Chair which had not yet opened, so a ten minute walk took me to The Borough Arms - a proper, friendly, local pub. I don't think I can add anything of relevance to "Jonnysaint"'s comments apart from the beer that was on - Everard's "Sunchaser Blonde" at 4.00% - absolutely excellent and a real thirst quencher. Hog Back "Dark Mild" ( 3.8 % ) was also available as was Ringwood's "Best" & "49er". 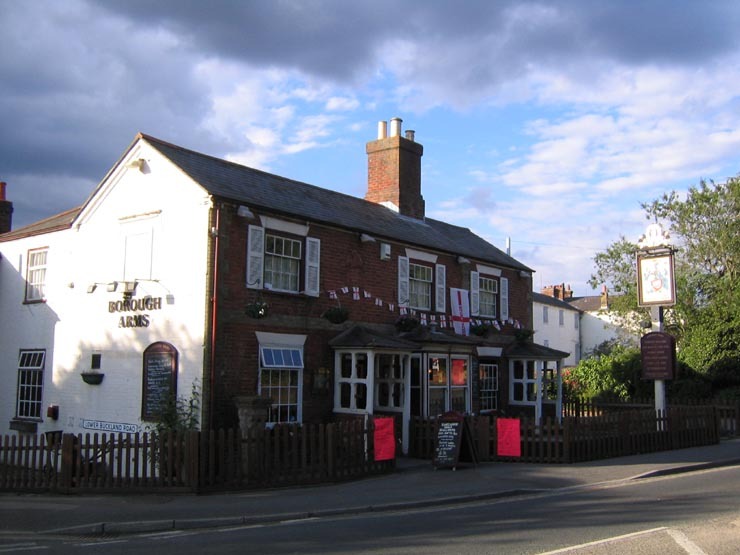 I enjoyed the company of the landlady and one of the regulars after getting over the shock of paying �3.15 for the Everard's and score The Borough Arms with a respectable 6/10.